We can announce the news that the University Races will form part of The St Patrick’s Day Festival weekend and will take place on Monday March 19th. The years race will be run over the course from O’Connell Bridge to James’ Gate Brewery. DUBC oarsmen take a deserved break from their formal training structure over the Christmas period, following recent fitness testing and competition. Athletes have been given strict guidelines of being able to see and touch their toes when they get back for training camps in the new year. Boats and rowing machines have been deemed off limits so most will be mounting their bicycles or tying on their running shoes for the festive season. Both novice squads will be taking to Blessington for intensive training, with the 2nd years braving it out in singles as the first years take the larger boats. While the novices are recovering from hypothermia at home the senior/inter squad jet off to sunny Seville in the south of Spain for a water training camp, focussing on pairs to improve boat moving proficiency. A lot of duelling on the water is expected in all camps as competition for places is strong within the club. Muckross head was dominated by DUBC, posting the fastest times at senior, intermediate and novice level in the 8+ and with the intermediate and novice 4+ event. They even received a mention on the Irish Times website here . DUBC also had 2 intermediate doubles and a lone single take to the water to compete, but these didn’t post a fast enough time to claim the pennant in their respective classes. All athletes are looking forward to the Christmas break which is about to kick off with Christmas commons this Thursday. It has come to our attention that a small number of the Christmas cards sent out to alumni this year did not enclose an invitation to Trial VIIIs. As such we would like offer an apology to those that did not receive their invitation and to extend again an invitation to all Oldboys of the club. The event will take place on the 18th of February 2012 in the Trinity Boathouse, War Memorial Park, Islandbridge, Dublin. Please RSVP to wjdfhurley@gmail.com by the 18th of January if you wish to attend. As the fog cleared over the lake it was clear to see that conditions were almost perfect, the sun was out but there was still a bite of winter in the air, though the mirror-like water got many of the Trinity oarsmen eager to get out and test themselves on the vast lake. The race, just under 4 kilometres, is the first real race of the season for the DUBC intermediate squad, a squad that was hungry to prove that their proficiency in small boats is not just for the stretch at Islandbridge but that they are a club building a reputation in the area. An impression was definitely made as over 30 Trinity entries made up the flotilla of DUBC craft on the lake. Trinity certainly put their hands up to be counted as they made 9 of the top 20 scullers, with Fionn McCaffrey and Admiral Charlie Landale both breaking into the top 5. Captain William Hurley claimed, ” The natural order had been restored” as he placed 3 seconds ahead and gained bragging rights over his roommate. Hurley commented that his new improvements were the result of a solid reduction in the amount of “craic” he was having and in order to reach the top ” the club and I must stamp out all and any non-rowing activities which are seen as banter”. A scratch intermediate 8 claimed the title in the category beating UCD by over 12 seconds, with a strong performance for a crew that had only rowed together twice prior to the event. 2nd year novice crews have some work to do over the winter to overturn a deficit of 7 seconds to UCD, with a strong and improving squad they look set to take their scalp in the next encounter. Though the day did not pass without incident, as the “B” quad had a run in with the Fuzz. A collision with Garda in the warm-up to the second head left the trinity quad unable to race. Needless to say there will be a few people lying low and ensuring their tax disks are up to date and dogs have been licensed for fear of the long arm of the law. Following a relatively successful day of racing DUBC look forward to a winter of improvements with a training camp scheduled for the New Year in sunny Seville. Preceded by R.B McDowell’s memorial, Trinity Chapel 5p.m. National Championships. The second year novice squad finished their season as they started it, in style. Their command at novice level was emphasised with a victory of 3 lengths over the old rivals from across the river. A season which saw the crew undefeated at novice level bar once gives great encouragement to their coming season at inter level. The championship 8 then split into their respective bow and stern 4+ combinations for the final day of racing with the bow 4+ handling the extremely challenging conditions much better than most crews made the final but just missing out on a win. The intermediate viii were agonisingly close to the title. A drama filled event saw a gutsy performance by the Trinity crew, who were almost a length down at the 500 to go mark, they gave it their all in a final push but unfortunately the course was just a foot too short for the DUBC oarsmen, losing out to Queens by less than 12 inches. The first year novice group put out a strong showing placing 3rd in the viii, claiming the title of fastest first year crew. This group very bright futures ahead of them and will look to dominate in the coming season. Apologies for the obvious spelling mistake in the newsletter, the front page should read “Novice VIII Champions”. A memorial service is being held for the late R.B. Mcowell at 5pm Thursday the 20th October. The Boat club AGM will be held immediately afterwards. DUBC retain the crown of fastest club of scullers in Islandbridge in the annual Dublin sculling ladder, narrowly beating Neptune by a nail-biting 9 points. A special mention to Paddy Hughes, beating his twin brother from UCD, which was met with vociferous applause. DUBC’s Temple Eight have drawn ASR Nereus and the Prince Albert Four have drawn the University of Bristol for their respective opening heats. With the club’s Prince Albert four having just qualified to join their colleagues in the First Eight at the Regatta next week, it may be a good time to recap on the progress of the two boats of the Inter/Senior squad. With the crews having been selected after several arduous days of trialling in late May, there was little time for the squad members to come to terms with the coach’s decisions let alone knit together as a unit before they faced their first race after an enforced exams respite from racing. Coming off the back of a successful set of performances at Trinity Regatta, the pressure was on to deliver in what was would be the definitive line-ups for the season. At Dublin Metropolitan Regatta, Trinity Oarsmen would not only validate their selection, but also show the strength in depth of the squad, with the clubs second boat, the coxed four acquitting themselves admirably for what was at the time a scratch crew. In the 4+ Division 1 final, a solid row from the four saw them lead the field by just under a length as they went into the final 500. However, having been together for only a few days at that point they lacked that certain cohesion brought by hours of paddling on the lake and also the solid pre-executed race plan of hardened crews and thus the lack of a coordinated sprint at the end saw them lose out on the overall win to a Senior Four from St. Michaels. It is perhaps a tribute to their ambition that they saw the winning of their own category, Intermediate, as a consolation. The First Eight felt the pressure to justify their selection all to acutely as rivals from across the water, Neptune, pounded up and down the warm-up lane in preparation for the final race of the day, Men’s Division 1 8+. Though far from a polished performance, the crew rowed solidly enough to squeeze out Neptune in the first 500 and move on from there to win by clear water. Encouraged by these results, the crews arrived at Dorney Lake last weekend for Marlow Regatta with the hope of testing their form at Inter 1 standard with some of the crews they will potentially be meeting at Henley in less than a week’s time. Testing, is perhaps the most apt word to describe the experience of both crews who discovered both the potential and the need to raise their performance in the face of their competition both foreign and domestic. Despite both crews finalling on the Saturday and coming second in their respective events on the Sunday of racing, sentiment in the camp upon returning home was not one of complacency, and the sessions which followed saw the squad firmly focussed on the next target of the season, Henley Royal Regatta. DUBC now has two crews qualified for the regatta, the Prince Albert four having secured their slot in qualifying today. The First Eight will take to the water for the first round of the Temple Challenge Cup on Wednesday and the Four will be back in action for their opening heat on Thursday. Mark Pollock, Adventurer, motivational speaker and basically a man who needs no introduction in DUBC circles will be on RTÉ 1′s The Late Late Show tomorrow night at 9.30pm. Exams are looming, so unfortunately there’s been little opportunity to provide any rowing updates. Trinity regatta was a great success, and you can read about it here on the tcd website. The next event is Queen’s regatta in Castlewellan for those who have finished exams by then (see calendar). Then, with academic concerns taken care of, we can get down to the business of winning. Trinity took the overall University Championship title at Iniscarra in Cork on Saturday the 9th of April. In a fantastic joint effort between DUBC and DULBC, we racked up a colossal 66 points, well clear of the competition to take the overall championship. With 11 wins, 8 second places and 3 third places, there was absolutely no doubt whose day it was. DUBC won in five of the events that they entered, testament to all the hard work that was done over the winter months. The small boat programme is obviously paying dividends, with everyone in the Inter squad jumping in and out of small boats for the day. The points accumulated in the second and third places were vital to achieving the overall points win. The wins came in Inter 2x, Novice 8+, Novice 4+, Novice 2x and Novice II 8+, where Neal’s first year novice crew put in a fantastic row to beat the rest of the field. The rejigged Inter 8+ came second to a decent Queens crew. The Inter 4+ came down to an unbelievably small margin of just six inches, having been half a length of clear water down at the 500m to go mark, Queens snatching the victory from an exhausted Trinity crew. The following day at Skibereen Regatta, we went and did it all again! This time, the second year Novice 8+ came through to win by a decent margin over UCC’s second year Novice crew. Meanwhile, Neal’s first year Novice A crew had their best row yet, coming a convincing third in the open Novice event. The Inter 4+, made from those who had not been selected from the Gannon crew, won their division, again demonstrating that there is a viable Prince Albert four outside the top eight. The Inter 8+ raced the Senior UL crew the whole way down the course, ultimately losing to them by two seconds, but claiming the Inter 8+ title. The second year Novice 8+ rowed in U23 and won that as well. A special mention should go out to those who raced multiple times over the weekend. Everyone had at least four races, some had as many as seven. One Inter athlete, who shall remain nameless, had to be scratched from his last race as he couldn’t walk down to the slip. The summer is now an extremely exciting prospect: nine wins in one weekend for DUBC is surely a feat that has never been achieved before. Let’s hope that there will be plenty more! Keep up to date on DUBC news with the latest e-bulletin. Though many students will struggle to remember what they did on St.Patrick’s day, both the Novice and Senior Squads of the Boat Club will find it hard to forget what proved to be a comprehensive defeat at the hands of UCD in the Annual Colours fixtures on the Liffey. The defeat put a blemish on what has so far been an extremely promising season, begun with a series of victories in the Head Season. Having won the Club event for the first time in its history, taken several honours in the Neptune and St.Michaels races, and in the week preceding the Colours race having won the Inter VIII+, InterVI+, and Novice VIII+ at Erne Head, the wooden spoon was by no means a foregone conclusion. With the tides being favourable, it was decided this year to hold the Gannon as part of the St. Patrick ‘s Day festival, a decision which added immensely to the atmosphere surrounding the event, but also to the pressure felt by the crews in a fixture where first blood is drawn before the regatta season. The Novice Men’s race was started at 8.30am in front of a committed crowd of supporters and enthralled parade spectators. Having put in a promising series of Head of the River race performances, there was hope that Trinity could retain the Dan Quinn shield (the First Year Novice event) for a third year against a UCD crew who remained an unknown quantity. The winning of the race was to be in the first twenty strokes, between the O’Connell and Ha’Penny bridges. Due to the fact that the start sequence is a crucial element in a good one-on-one, side-by-side race, particularly for Novice crews as remaining calm and rowing through the opposition from behind is difficult for even the most experienced oarsmen. In the pressure cooker in front of O’Connell Bridge, amidst the cheering crowds, shouting coxes and the Umpire bellowing orders, Trinity lost their composure and having been unsettled and thus caught off guard by the Starter, missed much of their first stroke. The Crew lost a degree of unity in attempting to recover and failed to properly execute their start sequence. Their UCD counterparts capitalised on this and pulled out to over half a length. Rattled, the Trinity crew tried to work back before going into the first arched bridge at Capel Street but having lost the composure that they relied on during the Head season lacked the technique to effectively implement their attacks. UCD held their advantage and with growing confidence pulled away during the second half of the race to win by clear water to secure the Dan Quinn and tie the series at four all. In the Senior Men’s event, the Gannon Cup, Trinity were widely accepted to be the underdogs. Their first boat contained 5 oarsmen making their Gannon cup debut, as opposed to only one in the UCD boat. The UCD eight benefitted from years of experience on the International Rowing scene and several Henley finals, with the boat containing four Henley winners, including most of last year’s victorious Prince Albert Crew and Sean Jacob, long standing Irish international and Henley winner who first rowed in the Gannon cup whilst in UCD almost twenty years ago. It was this combination of experience and talent which made UCD hot favourites over the Trinity crew to complete the four-in-a-row. Despite the first section of the course being choppy due to the safety boats the race, the race was let go to the consternation of both crews. A good UCD start took almost a canvas from Trinity within the first three strokes, but Trinity held their technique and rowed to their limits to try and maintain contact until they had the inside corner at the Four Courts. Rowing hard through the wash until Capel Street Bridge Trinity held the stern of a powerful UCD crew which was beginning to hit its stride. Going into the Four Courts bend, Trinity were at their limit in trying to make up ground lost at the start, and found it difficult to raise their game again to pull level. UCD however went up an extra gear to hold Trinity and began to slip away, building on their lead and pulling away to clear water as they went into their own bend. As the crews approached St.James Gate, Trinity were unable to close the gap which had developed and UCD looked comfortable as they wound up in the final straight to win by over 4 lengths of clear water. Though UCD secured the Four-in-a-row this year, Trinity still lead the series 34-28. DUBC rounded off a successful Head season at Erne Head of the River, with each crew taking pennants in their respective events, namely the Inter VIII+, the Inter 4x- and the Novice VIII+. Despite having only been in the Eight for a week, the Inters maintained their composure over the seven kilometres to finish within 19 seconds of the nearest Senior crew. Having been set off well behind the Senior crews, stroke Luke Acheson laid down a solid rhythm at 33/34 down the Killyhevlin straight to pull away from chasing crews and settled as Cox Maeve Crockett used her experience on the Erne to steer a competitive line around a course. However, despite a good early section, the Crew then found itself rowing in isolation for much of the race, and found it difficult to keep the pressure on, losing some of its early gains due to complacency when it failed to catch up with the Senior crews. The Inter quad put in a solid performance to take the pennant in their category. Bowman Adam O’Brien adapted well to a new rudder and his line was bested only by a Portora quad on their home stretch. The success of the quad bodes well for the viability of another strong crew within the Inter Squad, and should be a useful asset for the University championships. The Second year Novice VIII+ blitzed the competitors in their category and despite some hiccups, managed to finish within 40 seconds of their Intermediate counterparts. Finishing off the Head season with a successful transition into big boats, the Squad will hope to carry this momentum into the Regatta season. It may not surprise you to hear that DUBC’s squad members did not spend the festive season idle, reclined in front of the television, polishing off the remainder of the Jacob’s USA biscuit selection and contemplating some vague resolution to exercise and change their diet. While the Country bemoaned icy conditions and snow hindering travel and the Christmas shopping, DUBC’s principal concern was that Blessington had frozen over, the Gym was shut and that cycling wasn’t an option for cross-training, leading to numerous discussions on the best way to run on the snow and ice. Stopping training however, was never discussed. The only thing that holidays mean for the Collegiate Oarsman is that College is taken out of the equation. With the 2011 odometer set at zero, the Second Year Novices took first blood by taking to the barely thawed Blessington Lake in their Single Sculls for an intensive training camp to bring them to racing proficiency for the rest of the Head Season. Though slipping like a fleet of Soviet Icebreakers, they discovered some finesse after a few days and 120km and finished out the week nonchalantly pushing puddles out past their sterns. Still reeling from this sleight from the Young pretenders as they boarded the plane, the Old Guard of the Inter/Senior squad were determined to set the standard by achieving double the workload of their counterparts. They however enjoyed the distinct advantage of having their training camp in the excellent environs of the High Performance Centre in Seville, Spain. Though fond of their home stretch, the squad were happy to get a change of scenery on the Guadalquivir. Consistently sunny, dry and with temperatures reaching the low twenties, it was akin to a good Irish Summer. However, this was no holiday, with squad members training on the water before the sun came up and slipping from their third and final session as the Sun went down. Almost doubling the mileage of the Novice camp, members cemented a proficiency in pairs, the chosen vessel of the camp. Though the line-ups were constantly changed, an intense competitiveness developed with each man seeking to prove his boat moving ability. This culminated in a series of Head races on the final day, which saw the fatigued crews emptying the tanks in order to have the last word on the Camp. 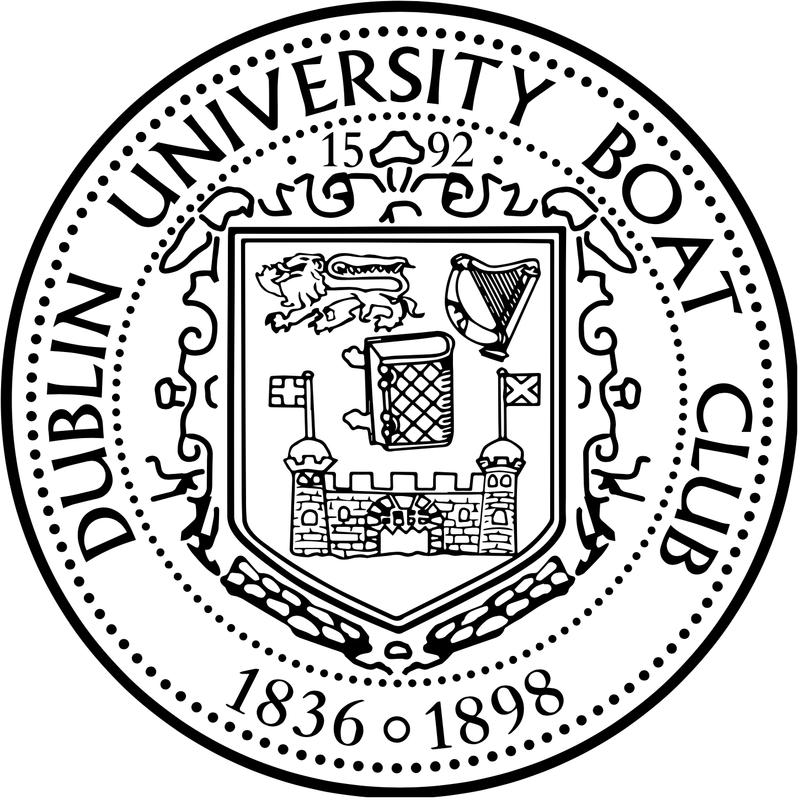 Dublin University Boat Club would like to extend an invitation to all members, past and present, to attend the Annual Trial VIIIs Dinner at the Boathouse in Islandbridge on February the 26th. Tickets 60euro. Please email semplej@tcd.ie to confirm your attendance. With the snow deep on the ground and the lake frozen into deep drifts that a Pollar bear would be proud of it is time to consider activities at DUBC and where they may lead. The club is certainly a hotbed of activity with 24 fully acive in the intermediate programme and approximately another 40 still attached to the novice programme. It is particulary encouraging how the support of the old boys has been significant in developments. The acquistion of small boats, the purchase of ten new ergometers on Campus and laterly the funding of a foundation coach is making a colossal difference which will come to fruition in the coming season. With Neal Byrne as the mainstay, the programme has really taken off. There is a recognition that with such a short window at university rowing that there must be a focussed and steamlined approach to learning to row and preparing physiologically. This is not lost on the athletes that have signed up to the programme who can see a clear co-ordinated route. This was evidenced recently in an open club Ergometer event held in the main sports hall in Trinity. There were not only individual events, but also team competition mixing experienced and novice. Through the generosity of the Lady Liz there are now supervised pre lectur ergometer training sessions on campus for the more experienced at 7.30 in the morning and later for the novice group. On the water before the snow and ice intermediates and secoind year novices repaired to Blessington each weekend to undertake three sessions in small boats. Consistently 45K was being clocked up in the three sessions. The improvements in technique and stamina are remarkable. When the weather changes we will be back there. The novices are passing up and down the Islandbridge stretch building up considerable mileage. New Olympic weights and stands are now kept in the long room for strength development. This has been of major benefit because improvement may be measured accurately. Three camps have been organised for early in the New Year. 14 of the intermediate group will go to Seville for a week. The second year novices will further develop their sculling skills in Blessington and a host of this years novices will camp also in Blessington. Gradually as Winter turns to Spring crews will be formed to take on the target heads and regattas. Participation in the London Head is out this year because the event is only a week before the Irish University Championships. With the numbers now rowing out of the club DUBC will chase the overall club prize that we have been so close to in recent years. We have not only numbers but a diversity of skill, demonstrated when DUBC won the overall club cup in the Dublin Sculling Ladder. Things have moved on since then. 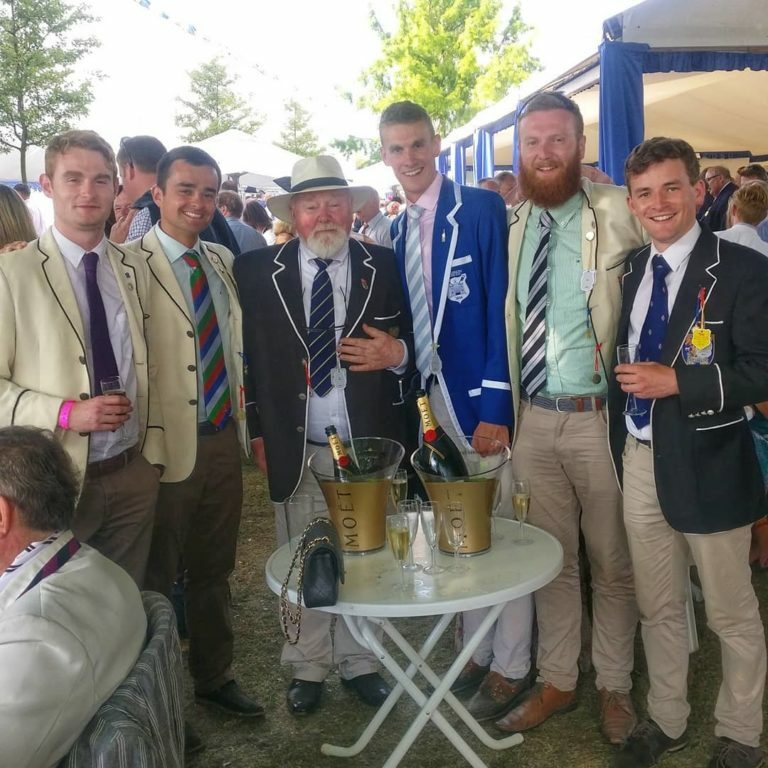 It is certainly proposed to have a DUBC crew at Henley this year and possibly two to reflect the growing strength of the squads. We will also take part in Marlow regatta at the Eton course which not only is now part of the regular calender, but affords opportunities to obtain qualification and cedings for Henley. I dont think that any of the coaching staff are under any illusion that meeting the high standards of competition within the 3-4 year time frame of a University is very challenging, but there is also a confidence that the tide is rising and expertise is being built into the programmes. Obviously there is aconstant need for equipment to fulfill the ambitions and that is where the wider club assists greatly.